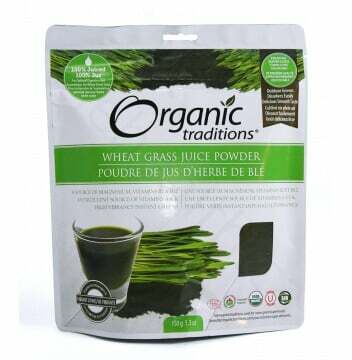 Wheatgrass Juice Powder is made from young, nutrient-dense grass from wheat in its vegetable state. The grass is grown in natural sunlight outdoors using ancient soil beds. 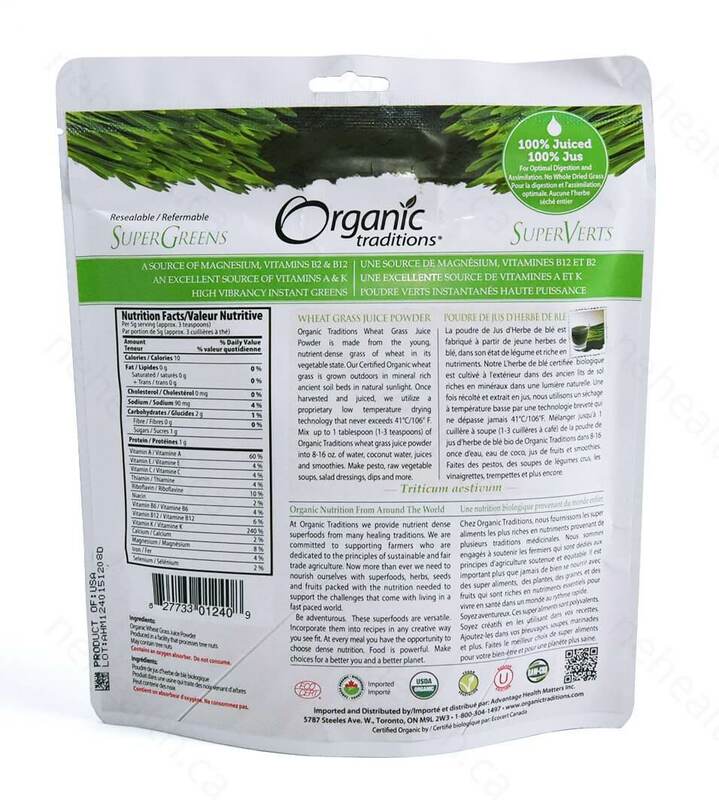 Once the grass is harvested and juiced, it is dried at a low temperature not exceeding 41°C/105°F to ensure freshness and full nutrient content. 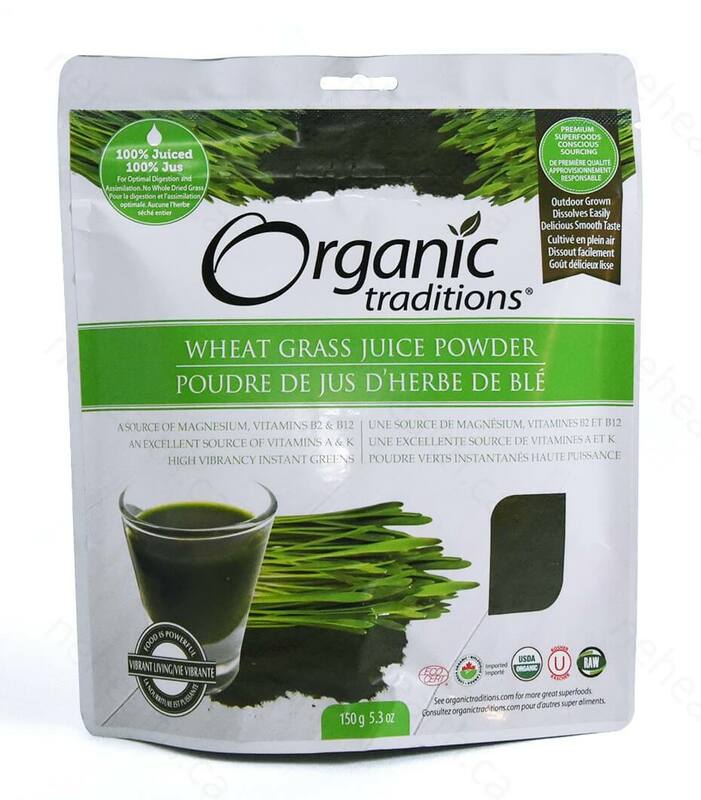 Mix up to 1 tablespoon (1-3 tablespoons) of Organic Traditions wheat grass juice powder into 8-16 oz. of water, coconut water, juices and smoothies.